Abuan in Kintamani, Bangli, is a cool fertile village situated close to Mount Batur. The people are friendly, they seemed innocently honest – especially the group of artisans we initially contacted in mid 2003. We were welcomed warmly and not overly pressured for money. Invited home for coffee, their own product! At that time Mr. Punduh showed us the extremely well modeled elephant, based on observation from TV – quite an accomplishment. We placed our initial order based on this. Getting to know the village better and understanding the financial difficulties of these farmers, besides establishing the Merta Sari Co-op, we help them financially with citrus planting (capital to buy seeds and manure for the orchard). 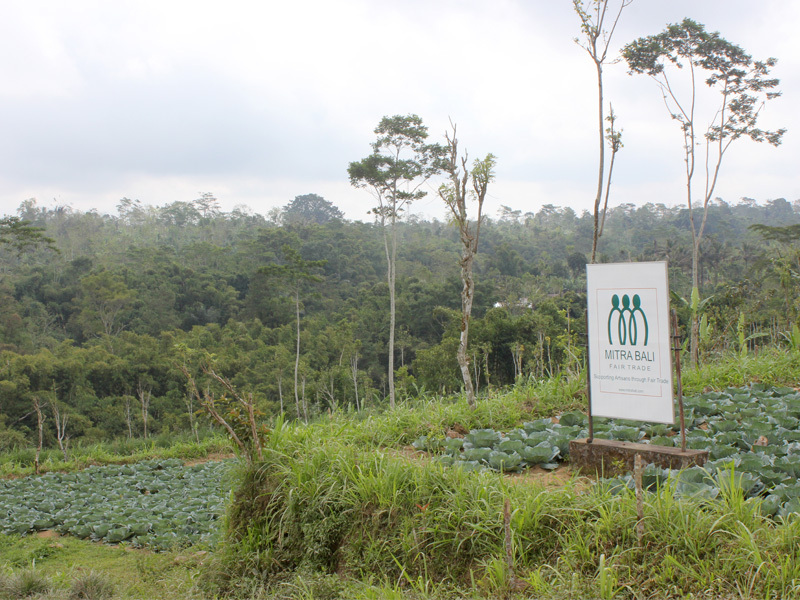 Farmers in Bali are in a difficult financial situation because there is no government support for farming. Farmers are selling off their land for money, even here in Abuan village. Mitra Bali’s subsidies is scheduled on an agreement with farmers: seeds and fertilizers are supplied and after harvest the contracted agreement is implemented 50 : 50. Albesia planting are contracted 70 : 30 (Abuan / Mitra Bali). Farmers use empty land at their discretion; we provide seedlings at no cost and the matured timber is raw material for Abuan crafts. No land suffers enforced sales – reforestation stays in progress and the villagers are self-sufficient – Small, but Big Changes!